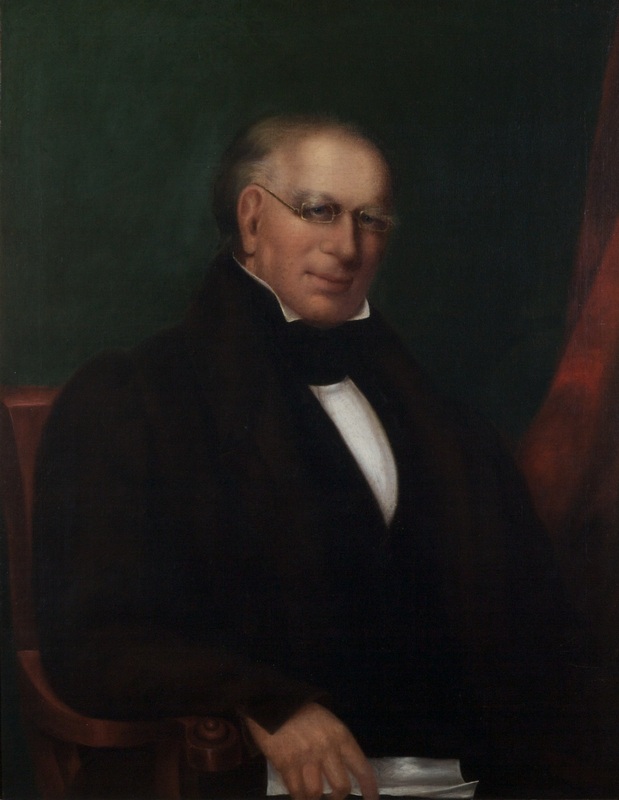 Elected by the General Assembly on February 20, 1834, to fill the vacancy created by the death of John William Greene and began his service on March 1, 1834. Service terminated by death. Elected, 32 Va., iii; birth, death, education, and career, F. Thornton Miller, “William Brockenbrough (1778-1838),” Dictionary of Virginia Biography (1998); see also David A. Powers, III, “William Brockenbrough,” The Virginia Law Reporters Before 1880, edited by W. Hamilton Bryson, (Charlottesville: University Press of Virginia, 1977), 7-10; portrait, Library of Virginia catalog. The portrait was donated to the court for display in the courtroom on December 2, 1884, by Brockenbrough’s daughter (Order Book 26, p. 233-234).